Advocates accused Ga. State Rep. Jason Spencer of targeting Muslim women with proposed changes to a 1951 state law passed to unmask the Ku Klux Klan, the Associated Press reports. Backlash later prompted him to quickly discard the idea. Georgia's highest court has narrowly interpreted the 1951 law to apply only when one wears a mask to intimidate others, and the new bill's language would added "she" to the law. Even if passed, the proposed changes wouldn't apply to Muslim women "because they're not wearing their gear to intimidate anybody," said Emory Law Professor Michael Perry. During the presidential campaign, Donald Trump relentlessly attacked Gonzalo Curiel, the judge in a lawsuit charging that Trump University defrauded thousands of consumers. However, Curiel allowed Trump's motion to postpone the trial until Nov. 28, after the election. Had he not, says Emory Law Professor George Shepherd, "news reports would have focused not on Trump speaking before thousands of adoring supporters at his rallies, but instead on Trump sweating under humiliating cross-examination." In December, parties to the Nagoya Protocol, an international treaty governing the use of genetic resources from medicinal plants to pest-killing microbes, plan to discuss whether and how the agreement should apply to digital DNA sequences. The treaty was was meant in part to prevent richer nations from unfairly benefiting from genetic resources originating in poorer countries, Science magazine reports. However, It's one thing to declare that your laws protect digital sequences, and another to actually find and pursue those who violate them, says Emory Law Professor Margo Bagley. The verdict on Nov. 8, 2016, was not unanimous, especially when Secretary Clinton will end up with a popular vote advantage. Yet, it is a message of extreme magnitude from voters willing to overlook the serious flaws of a candidate because they could not reconcile themselves to ratifying the perpetuation of politics as usual. Nash for The Hill: What kind of judges will Trump appoint? While speculation swirls over the content of Donald Trump's presidential agenda, one task that President Trump will surely face once he takes office is to fill the Supreme Court seat that has remained open since Justice Antonin Scalia's death. Moreover, beyond the Supreme Court, Trump will appoint numerous lower federal court judges, Emory Law Professor Jonathan Nash writes for The Hill. DId Shelby v. Holder affect election outcome? Bloomberg asked Emory Law Professor Michael Kang whether the 2013 U.S. Supreme Court Shelby v. Holder decision affected this year's presidential election. "It's pretty hard to say at this point," Kang said. "For something like this to matter in terms of affecting a big presidential election, it has to affect a lot of votes. It's not clear that it would affect enough votes that it would affect the outcome in a particular state." When Baker & Hostetler Partner Emily Crosby learned how children of incarcerated parents struggle, she contacted Emory Law's Barton Child Law and Policy Center to do something about it. The Support Kids of Incarcerated Parents (SKIP) program recently marked its success with a gala featuring "Orange Is the New Black" author Piper Kerman. Director Melissa Carter tells the Daily Report 11 percent of Georgia's foster children have an incarcerated parent. About 70 percent of children with a parent in jail or prison end up incarcerated themselves. After 40 years of protests, California's San Onofre Nuclear Plant waits to be dismantled. For the activists who fought to close the plant, the victory is bittersweet, says a Bloomberg story. The reactors will disappear, but 1,600 metric tons of radioactive waste remain. A Texas facility has proposed to store as much as 40,000 metric tons of waste, for as long as 40 years. 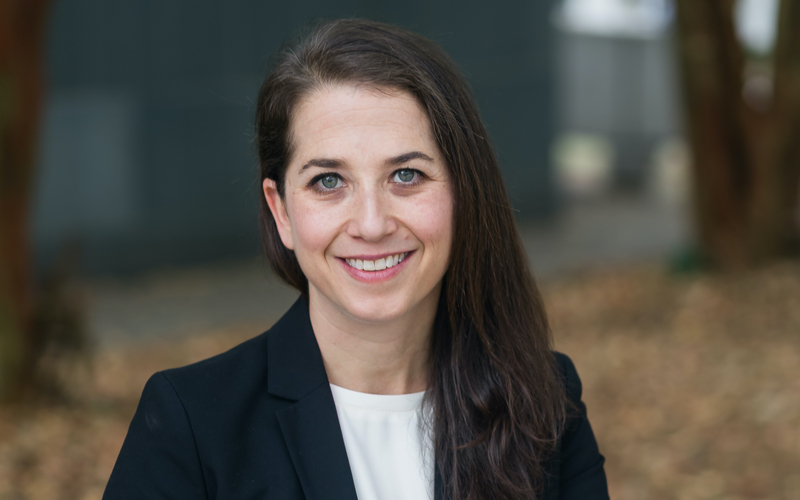 Allowing an interim site "lets the utilities off the hook," making them less inclined to push for a permanent solution, said Mindy Goldstein, director of Emory Law's Turner Environmental Law Clinic. Drew Early, co-director of Emory Law's Volunteer Clinic for Veterans was featured in a report on the clinic's work on behalf of Georgia veterans, including Veterans Affairs appeals for medical and other benefits. Early said the clinic is currently working on about 160 cases. Millions of dollars have been invested in this year's high-stakes battle for institutions that were once considered above politics: state supreme courts. Some spending is being used to paint justices as soft on crime, the Associated Press reports. That sort of advertising is problematic in judicial races because it can affect how courts make decisions, said Emory Law Professor Joanna Shepherd.